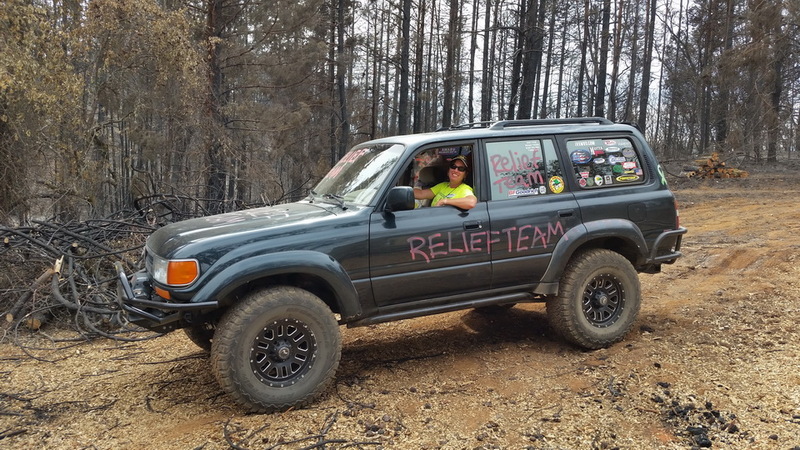 BLOG | Post Wildfire OHV Recovery Alliance (PWORA) | Restoring and recovering OHV trails and systems on public lands destroyed by wildfire. Restoring and recovering OHV trails and systems on public lands destroyed by wildfire. Del Albright, PWORA PLANS Chief will present a short overview seminar of what PWORA is about, what we do, and how to get involved, on Feb. 16, 2019, 10:30 am at the annual convention of the California 4Wheel Drive Association, Inc. at the Rancho Cordova Marriott. More about C4WDA (and their convention) here. Feb. 11, 2019 – 6 p.m. to 7 p.m.
UKIAH, CA – The Post Wildfire OHV Recovery Alliance (PWORA) is hosting a public meeting to gather feedback from OHV enthusiasts and stakeholders on February 11, 2019 from 6 p.m. to 7 p.m. in the Factory Pipe Conference Room, 1307 Masonite Rd, Ukiah, CA 95482. PWORA is developing preliminary applications for the California Department of Parks and Recreation, Off-Highway Motor Vehicle Recreation (OHMVR) Division 2018/2019 grant cycle. Applications to the OHMVR Division can include support for post wildfire recovery efforts in OHV recreation areas affected by the 2018 wildfire season. Recovery efforts can include restoration of areas damaged by unauthorized OHV use, soil stabilization, route/ trail maintenance and repair, and OHV education programs. PWORA must submit our preliminary applications by 5:00pm on Monday, March 4, 2019. PWORA looks forward to your ideas for potential grant projects. Restoring off-highway vehicle trails and systems after major wildfires. PWORA was formed as the huge wildfires in California and the west were destroying thousands of acres, including many established OHV trail areas. Initially focused on California fires, PWORA will soon be a national alliance with an IRS 501.c.3 status, helping recover trails where needed. When fire season is over, PWORA will be launching in full scale to help federal land management agencies save trails and restored fire-damaged OHV systems. Thank you for vising the Post Wildfire OHV Recovery Alliance (PWORA) Home Page. We are about restoring, rehabilitating, and recovering off-highway vehicle trails and systems after major wildfires and other disasters.